I Have Been a Bad, Bad Blogger! Yes, I have been a terrible, awful, no-good blogger this week. I didn’t even post yesterday! GASP!!!! You all know that we have been having VBS all week and that has taken A LOT of my time but here are a couple of things that you don’t know…..
C2 (my youngest) is extremely shy and extremely attached to The Hubby and me. This week has been a major stress packed time for him. 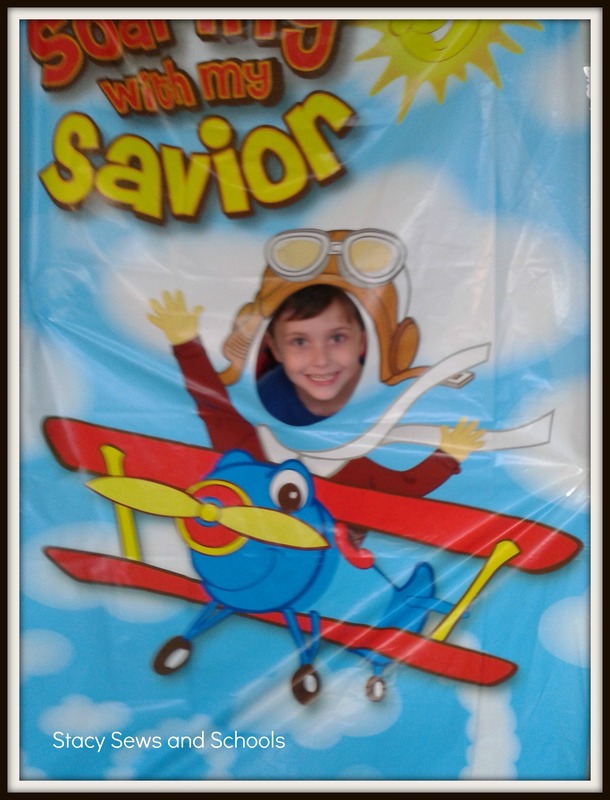 Even though he has been enjoying VBS it has put a lot of stress on him and he has been regressing. This past week I have had to be right beside him 24/7. And most of the time just being in the same room has not been enough. He wants me to hold him constantly. That’s OK. We are working through it and once VBS is over things ought to go back to normal. I have Fibromyalgia. I wasn’t sure that I was going to talk about that here but then I decided that I definitely SHOULD. Spreading awareness is a GOOD thing, especially for a condition that is so misunderstood. It is a REAL thing. It can be a debilitating thing! So, while I have had LOADS of fun this week with VBS it has caused me to have a major flair up. That means lots of pain and exhaustion. It’s OK. I am dealing with it and it’s definitely better now that I am on medication. I knew that this would probably happen but I also knew how important it was for me to teach this week. There’s no way my little guy would have gone otherwise and I have been so incredibly blessed this week watching the little people come to understand more about God and His amazing love for us. I will definitely be volunteering again next year. So there you go. Another little peek inside my world. Leave me a little note and tell me what YOU have been up to!! I would love to see what everyone is working on!!! 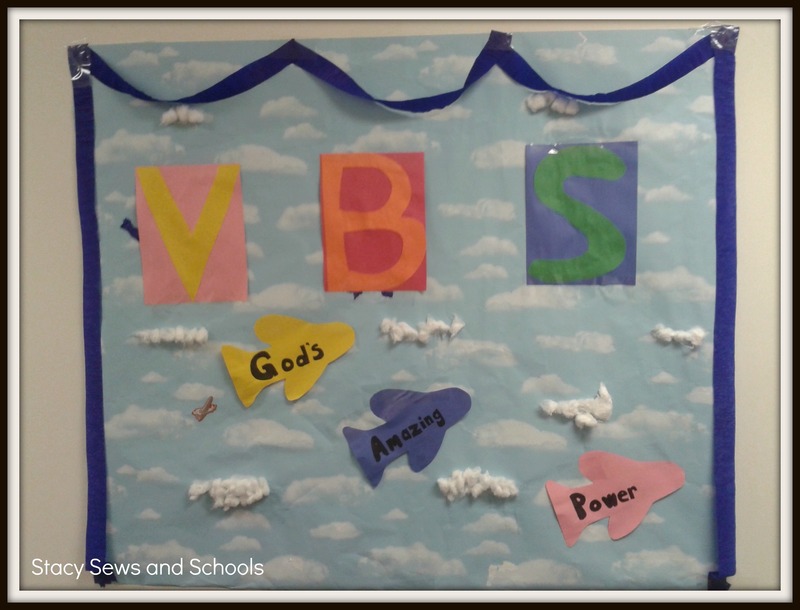 If you’ve been following along you know all about our VBS this week. It’s been SOOOOO much fun but also SOOOOO exhausting!! LOL The kids are great though. I am definitely going to do this again next year. One little boy hugged me tonight and said, “Mrs. Stacy, you are my favorite teacher EVER!” It brought tears to my eyes. Sweet little people. My youngest is in my VBS class, that’s the main reason I took the 4s and 5s. He is extremely shy and I knew there was no way he would ever participate otherwise. He surprised us all tonight. He got up in front of all the VBS kids and said his Bible memory verse!! Into the microphone!!! And won a gift certificate to Chick-Fil-A for chicken nuggets! His favorite food! LOL Of course, I had to stand up there with him, but still!! It was so amazing that he got past his fear and did that. I am so proud of my little guy. Here are a few pics of what I’ve been up to. I actually got to starting cutting the fabric for the Retro Butterick ’47 today!! YAY!! Hoping to finish the cutting tomorrow and possibly start sewing it on Friday! 🙂 YAY!! 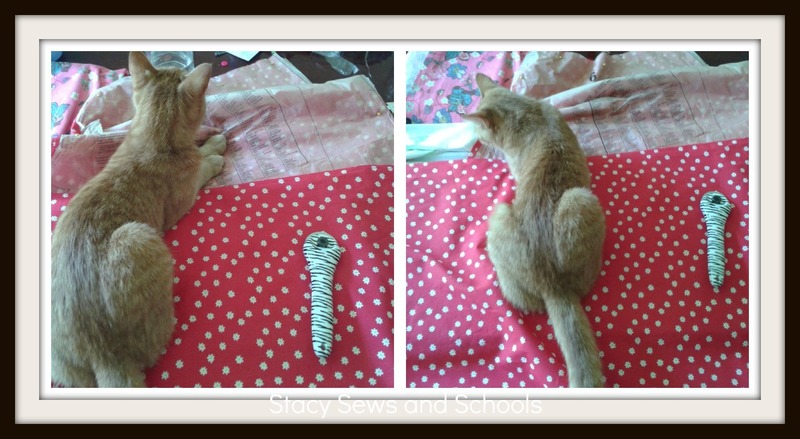 I am missing my sewing. 😉 It’s definitely my therapy. 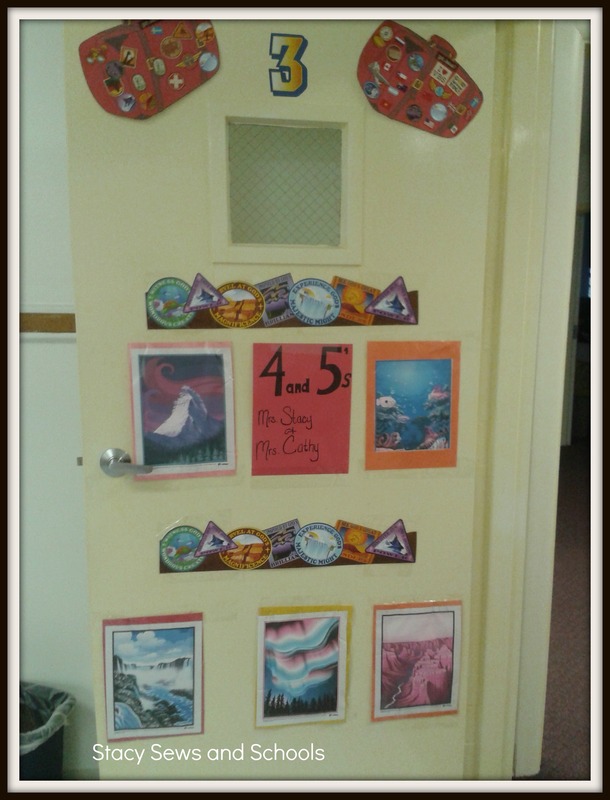 My pitiful sign outside of my VBS classroom. Hey, I was in a hurry! 😉 I looked all over for airplane stickers to put in there and couldn’t find them ANY WHERE! 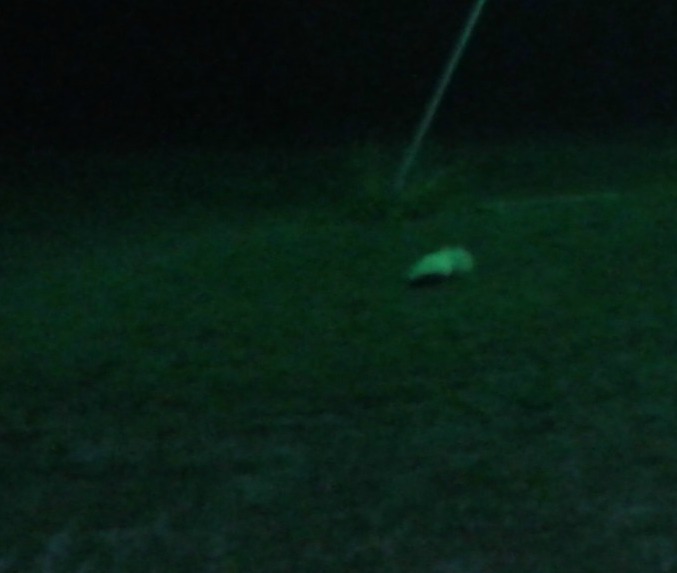 That is the almost entirely white skunk that keeps coming into our yard. Anyone know how to get rid of those things??? Sooooo, what have YOU been doing lately??? Working on any projects?? Leave me a comment and let me know! !